LT!! AWD!! DRIVER CONFIDENCE & CONVENIENCE PACKAGE!! REMOTE START!! HEATED SEATS!! CROSS TRAFFIC ALERT!! POWER LIFTGATE!! CARGO PACKAGE!! 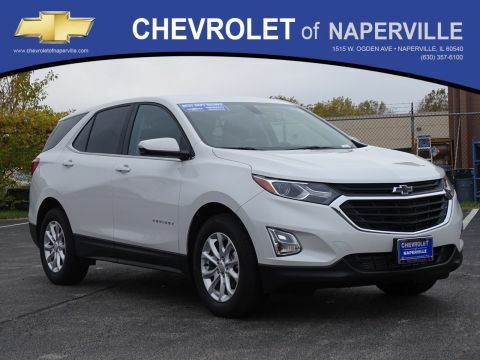 2019 CHEVROLET EQUINOX LT SUV, NIGHTFALL GRAY METALLIC ON PREMIUM CLOTH JET BLACK HEATED SEATING, 1.5L 4-CYL ENGINE UNDER THE HOOD, 6-SPD AUTOMATIC TRANSMISSION, 32 HWY MPG!! LETS GO OVER ALL THE OPTIONS ON THIS AWARD WINNING EQUINOX!! 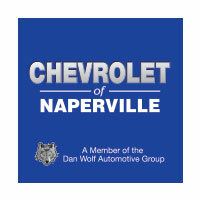 DRIVER CONFIDENCE & CONVENIENCE PACKAGE INCLUDES: 8-WAY POWER DRIVER SEAT, REMOTE START, HEATED FRONT SEATS, LEATHER WRAPPED STEERING WHEEL W/ AUDIO CONTROLS, POWER REAR LIFT GATE, SIDE BLIND ZONE ALERT, REAR CROSS TRAFFIC ALERT AND REAR PARK ASSIST…..4G LTE WI-FI HOTSPOT, REAR VISION CAMERA, 6-SPEAKER SOUND, 17 ALUMINUM WHEELS, CHEVROLET MYLINK WITH HANDS-FREE SMARTPHONE INTEGRATION W/ PANDORA AND STITCHER, VOICE-ACTIVATED TECHNOLOGY, CRUISE CONTROL, SO….LETS JUST SAY THIS EQUINOX IS AWESOMELY EQUIPPED AND READY TO GO!! BUT WAIT EQUINOX SHOPPERS….WE HAVE MORE!! YOU GET A FULL 36 MONTH OR 36,000 MILE BUMPER TO BUMPER COVERAGE, PLUS 5 YEAR OR 60,000 MILE POWERTRAIN COVERAGE, AND ONE MORE THING….2 YEARS OR 24,000 MAINTENANCE ALL AT NO ADDITIONAL COST TO YOU!! 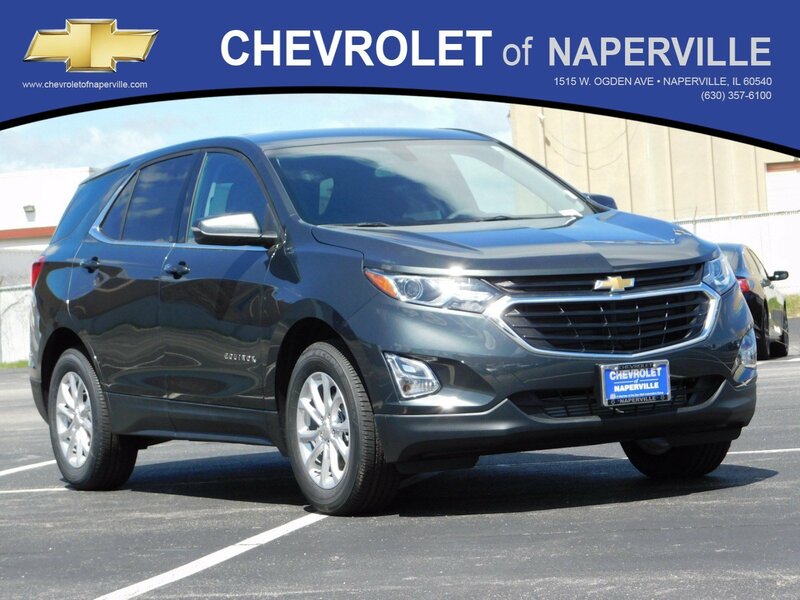 COME ON IN TODAY AND TAKE THIS LOADED UP EQUINOX FOR A SPIN-O-RAMA AROUND OUR CHEVROLET OF NAPERVILLE TEST TRACK!! YEP…OUR OWN TRACK!! FIRST ONE HERE WINS….SEE YA SOON.. LT!! AWD!! DRIVER CONFIDENCE & CONVENIENCE PACKAGE!! REMOTE START!! HEATED SEATS!! CROSS TRAFFIC ALERT!! POWER LIFTGATE!! CARGO PACKAGE!! 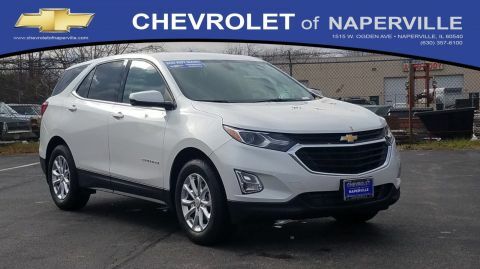 2019 CHEVROLET EQUINOX LT SUV, NIGHTFALL GRAY METALLIC ON PREMIUM CLOTH JET BLACK HEATED SEATING, 1.5L 4-CYL ENGINE UNDER THE HOOD, 6-SPD AUTOMATIC TRANSMISSION, 32 HWY MPG!! LETS GO OVER ALL THE OPTIONS ON THIS AWARD WINNING EQUINOX!! DRIVER CONFIDENCE & CONVENIENCE PACKAGE INCLUDES: 8-WAY POWER DRIVER SEAT, REMOTE START, HEATED FRONT SEATS, LEATHER WRAPPED STEERING WHEEL W/ AUDIO CONTROLS, POWER REAR LIFT GATE, SIDE BLIND ZONE ALERT, REAR CROSS TRAFFIC ALERT AND REAR PARK ASSIST.....4G LTE WI-FI HOTSPOT, REAR VISION CAMERA, 6-SPEAKER SOUND, 17 ALUMINUM WHEELS, CHEVROLET MYLINK WITH HANDS-FREE SMARTPHONE INTEGRATION W/ PANDORA AND STITCHER, VOICE-ACTIVATED TECHNOLOGY, CRUISE CONTROL, SO....LETS JUST SAY THIS EQUINOX IS AWESOMELY EQUIPPED AND READY TO GO!! BUT WAIT EQUINOX SHOPPERS....WE HAVE MORE!! YOU GET A FULL 36 MONTH OR 36,000 MILE BUMPER TO BUMPER COVERAGE, PLUS 5 YEAR OR 60,000 MILE POWERTRAIN COVERAGE, AND ONE MORE THING....2 YEARS OR 24,000 MAINTENANCE ALL AT NO ADDITIONAL COST TO YOU!! 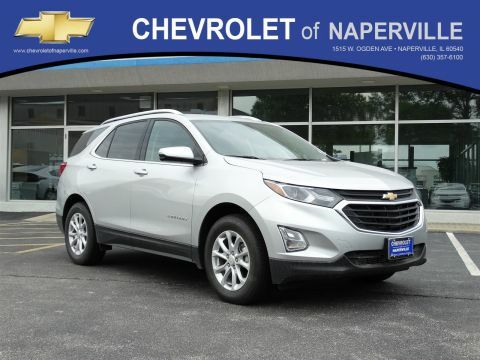 COME ON IN TODAY AND TAKE THIS LOADED UP EQUINOX FOR A SPIN-O-RAMA AROUND OUR CHEVROLET OF NAPERVILLE TEST TRACK!! YEP...OUR OWN TRACK!! FIRST ONE HERE WINS....SEE YA SOON..